Just when you think that you know everything about middle Georgia, a new surprise pops up! Here is another list in our series of things you did not know about Central Georgia. It is well known that the Atlanta Pop Festival aka the Byron Pop festival or Southern Woodstock was a raucous good time and also one of Jimi Hendrix's last performances. The legendary guitarist would depart this world just two months later. Hendrix played his signature rendition of the Star Spangled banner upon a backdrop of fireworks in Byron, Georgia on July 4, 1970. Following his performance Hendrix would learn that a stray ember from the fireworks had landed on a small tent, engulfing it quickly in flames ruining several of Hendrix’s belongings. The incident resulted in Hendrix’s Fender Jazzmaster guitar being badly charred. A distraught Hendrix along with 100 to 200 onlookers attended an impromptu burial for the still smoldering guitar. The spot in which the guitar was buried was marked with a small stone and was located in the southeastern corner of the field. After the breakdown of the festival the exact position of the “grave” within the Byron soybean field was lost. Click HERE for the last known grave location. In the early 90's a United airliner was diverted to land at Warner Robins AFB after its landing gear malfunctioned near Brunswick, Georgia. Local reporters filmed the dramatic landing of United flight 6658 as a pickup truck driven by a civilian aircraft mechanic was used in the airliner's recovery. Inside the base, employees who witnessed the landing stated "The truck came from out of nowhere and sped along the tarmac, aligning his truck bed with the front part of the plane and help it land safely, thereby saving the passenger plane from crashing." All 352 passengers on United 6658 were reported safe and unharmed. During World War II, middle Georgia was a hub of military activity as the Herbert Smart airport was home to several fighter units. "As a result, the military set up loads of “dummy houses” to make the airport look like a farm, and built several secret bunkers underground where training, plotting, and other covert operations took place. Several of the bunkers are public knowledge but one continues to elude conspiracy theorists. Rumored to house military secrets, it is said to lie untouched beneath a block of flats behind GEICO, its steel doors welded shut. Some intrepid explorers claim to have snuck inside in the 1980s to find a vast, Indiana-Jones-style complex with tunnels connecting to a secret military headquarters nearby. A young man by the name of Jonathan Sawyer decided to travel West from Ireland to make his home in America, but before leaving his home country he wanted to take a piece of his heritage with him. Sawyer broke off a piece of The Blarney Stone to ensure him the gift of gab and eloquence in his new homeland, America. Sawyer became a merchant and the 1st postmaster in the city of Dublin, GA. It was recently discovered that in one of the earliest post office buildings erected in Dublin contains this very piece of the Blarney Stone. The new Dublin restaurant, Company Supply, found this lost piece of history when renovating the building space. They noticed a piece of rock that was totally out of place among the brick walls and noticed a tiny scroll of paper in a crevice. 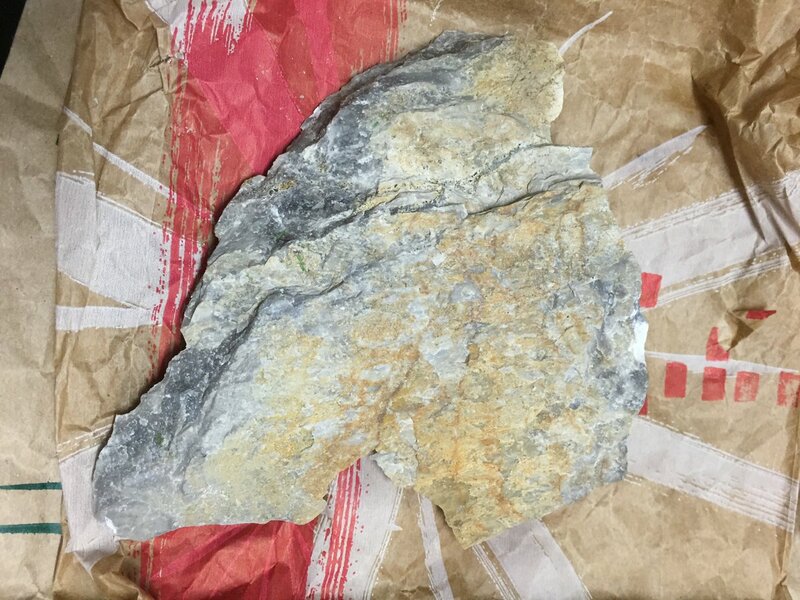 It was the original note from John Sawyer saying he wanted the power of the Blarney Stone to live on and bring good luck and cheer to those who find it. Look at the left wall when entering the restaurant and you will see the Blarney Stone under the wall hanging. It was the middle of the Great Depression, and young men were desperate to work and careful to keep it once they got it. 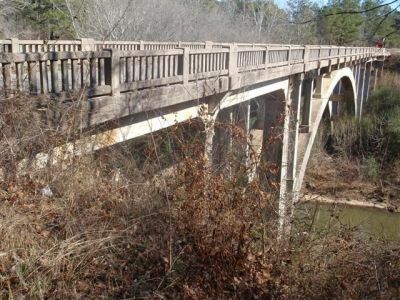 The Old Macon Road Bridge was a golden opportunity for young men all over Georgia to go looking for a job. And once there, they were determined not to lose their spots. Men from all walks of life worked on the bridge carrying equipment, pouring concrete and making about $5 a day. The work was dangerous and the bridge was built in the days before federal safety standards. During the pouring of the immense quantity of concrete that forms the Old Macon Road Bridge, two workers fell in and were buried forever. The two men, known as "sandhogs," were excavating one of the footings for the bridge, when the caisson shifted and gave way, crushing the men in a sudden rush of water and mud; entombing them in the Old Macon Road Bridge forever. Today, there's a plaque on the western side of the bridge dedicated to the two who died that February day. Click HERE to view the memorial plaque.